I propose building a simple tensometric balance. 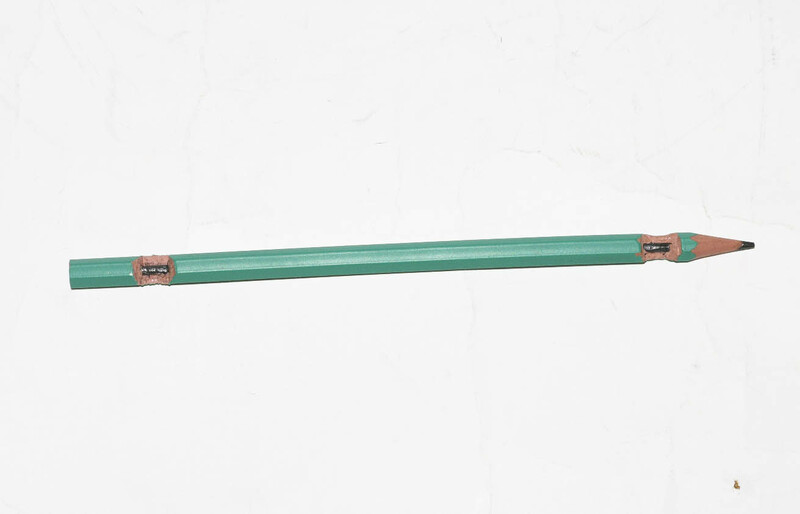 I found out the information on the Internet that flexible pencils, which can be bent (some quite significantly), have the so-called stylus made of some kind of polymer with the addition of graphite. Stylus changes its electrical resistance under the influence of stress. I will build resistive tensometric balance. In my experiment, I used a pencil manufactured by: BIC ECOlutions Evolution 650 HB, No. 2 Fig. 1. The pencil was purchased in paper shop at the cost of about 1 Euro. For sure many other manufacturers produce such pencils, and prices do not vary too much. The name ECO probably refers to the pencil rim, which is clearly not wooden. 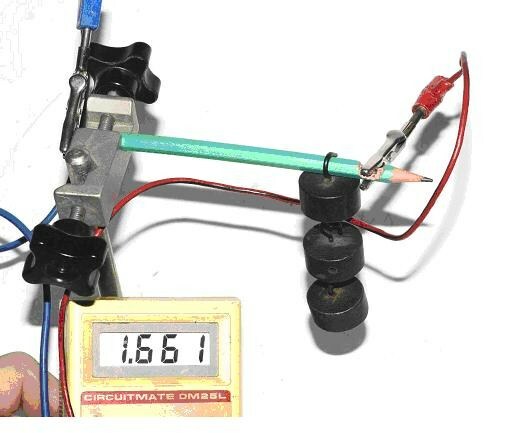 Make indentations at the ends of the pencil to be used to connect an ohmmeter to the stylus. The rest is trivial. Mount one end of the pencil to a holder. Connect ohmmeter terminals to the exposed parts of the stylus. Weights are hanged from the other end of the pencil. I used ready-made 50 grams weights available at all, even the poorest, school physics labs, but any other weight of known mass may be used. The balance is calibrated by suspending weight of "known mass," and noting the value of electrical resistance. Next, a graph of electrical resistance as a function of (f) load is drawn. I will not give any figures (not to mention load units) because they heavily depend on the type of pencil, its length, position of mounting and point of hanging loads. In addition the measured value of resistance of stylus contact with the cable, when the crocodile clip is open and then tighten again, changes. This could constitute an extra point of discussions with students, how to provide conditions guaranteeing repeatability of measurement results. If the balance is to last longer, it's worth making connection with exposed stylus in the following manner: wrap the cut opening in the pencil, with exposed stylus, with few coils of bare wire, the point is then covered with adhesive such Poxipol which solidifies within 5 minutes permanently securing the connection. The effect of contact resistance on the measurement results will have been eliminated. Figure 5,6 and 7 show stages in calibrating my balance. 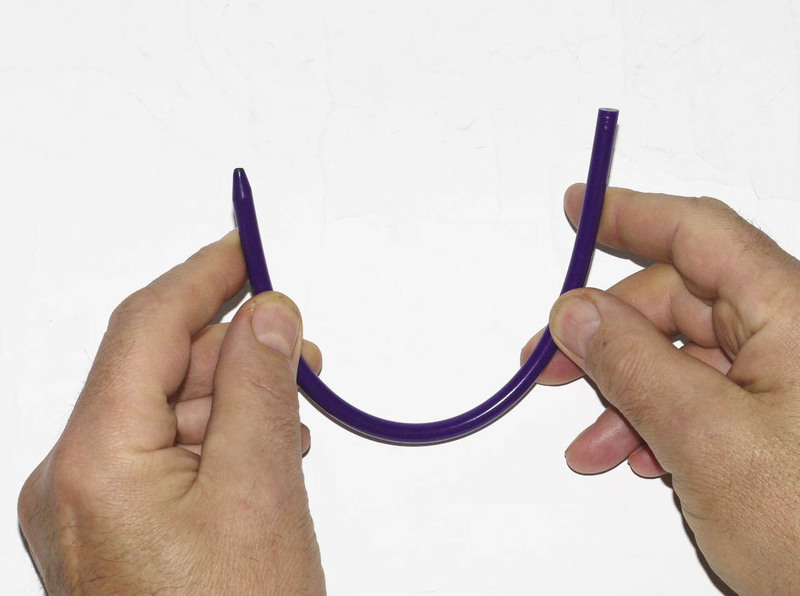 The resulting graph for calibrating the balance is approximately linear, especially if constant electrical contact with the stylus is guaranteed, and the range of pencil elastic deformation is not exceeded. After calibration, one can proceed to weigh any load. 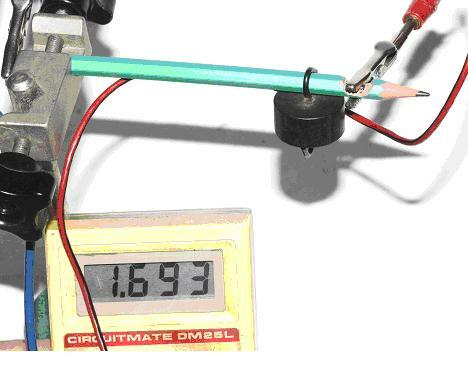 Electrical resistance is read from ohmmeter and the weight is then read from the resistance-weight graph. What do we benefits from making resistance tensometric balance? Mathematics – drawing of graphs on the basis of numerical data, using finished graphs. 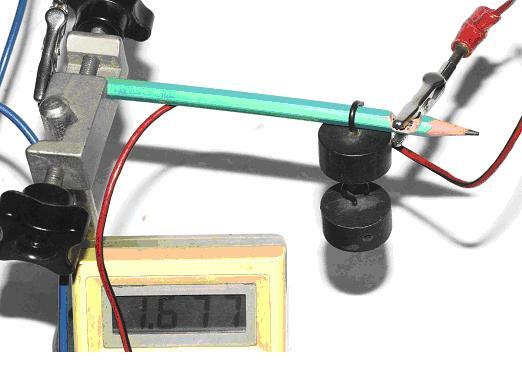 This fun costs a few zlotys, excluding the cost of an ohmmeter, which is probably available in any school physics labs. If not, then a simple digital meter (Chinese, of course) can be bought from the shops for about 5 Euro, or from the open-air markets for around 2 Euro. It's not much (2-3 large bottles of Coca-Cola, which dissolves the teeth), but the meter will come in handy for other experiments. There are plenty of flexible or even super-flexible pencils on the market. 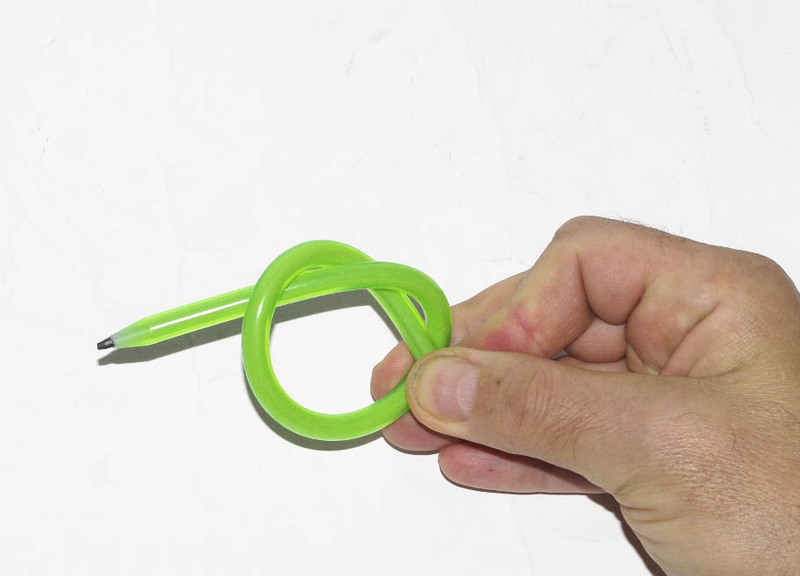 Some of them can be wrapped in a loop - Figure 8, 9. They can be purchased form "strange gadgets" shops, shops of type "all for ... Euros", paper mills, as well as the surrounding open-air market. I selected a moderately flexible pencil, because it at once constituted an arm of my balance. 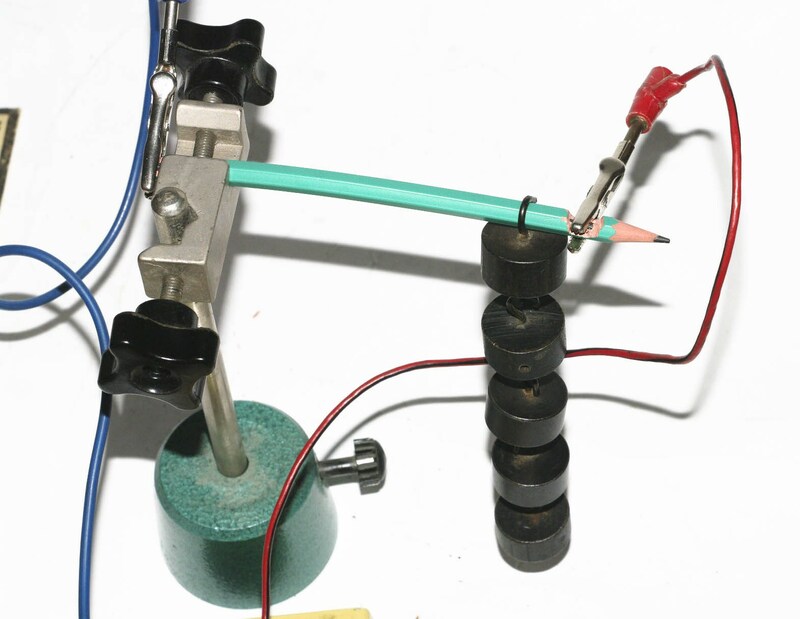 However, it is worth thinking on constructing a balance or dynamometer using super-flexible pencils because their resistance during the deformation changed to a much greater range than in the case of moderately flexible pencils. Common pencils (wooden frame, stylus is a mixture of graphite with kaolin) also display resistive tensometric properties. The problem in their use lies in the fact that large forces are needed for their deformation, to that to this they suddenly crack under bend of 50 – 70 . 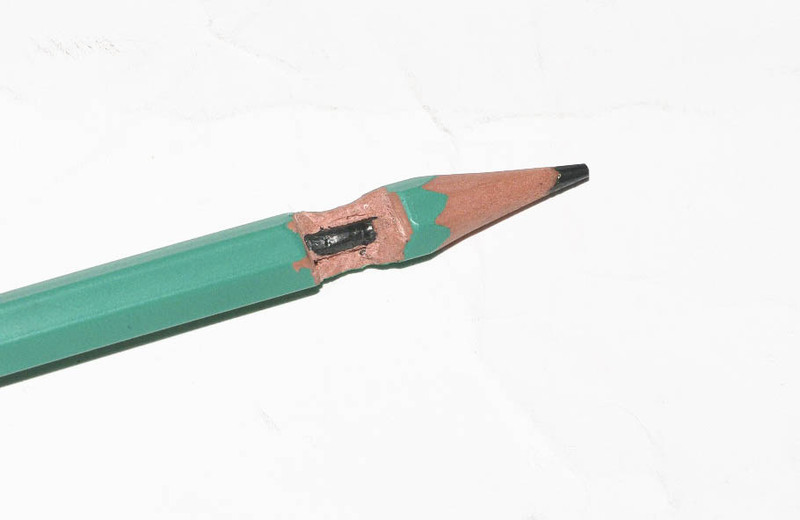 In addition, stylus of traditional pencils are often broken in the middle, giving the ohmmeter reading: ∞ Ω.